With the November opening of The Lodge at Gulf State Park, even more traffic is expected to use the 2.138-mile Alabama 135 to get to the park and its new 350-room hotel and conference center. 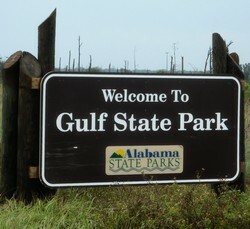 Gulf Shores and parks officials agreed lowering the speed limit in advance of the opening would be beneficial to park guests. The approximately 6,500-acre Gulf State Park includes three miles of white sand beaches, with restored sand dunes, the Gulf of Mexico’s longest fishing pier and 28 miles of walking and biking trails. The park is made up of nine ecosystems. The Lodge at Gulf State Park is a model of resilient, environmentally friendly coastal development where connectivity to the outdoors is a central focus. Designed to meet LEED Gold and SITES Platinum Certifications, the lodge will have 40,000 square feet of indoor and outdoor event space. The Lodge at Gulf State Park also features the largest beach view ballroom on the Gulf Coast, accommodating groups of up to 1,000, a Gulf-front pool and Gulf-front restaurant with house-prepared and locally sourced regional specialties.